This simple piece puts me in mind of a magical fog rolling in, wrapping the world in a muffling mist, turning everything into texture and dim shape. 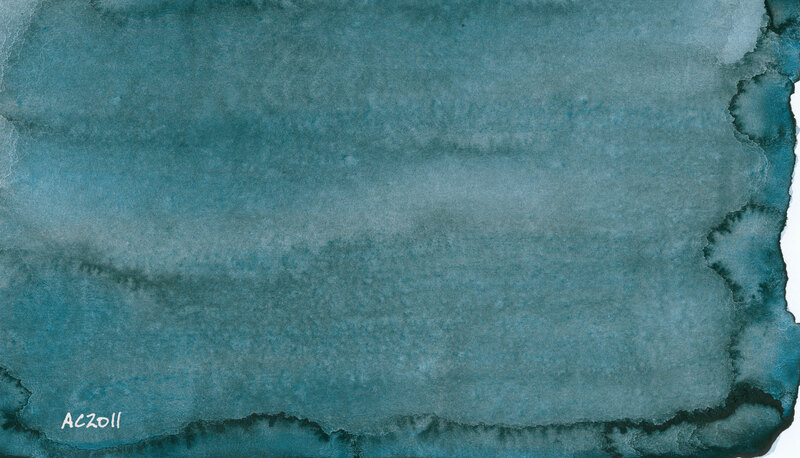 The detailed texture in the watercolor fascinates me, the subtle gradations in color and density that make it so much more than a simple blob of color. I’m still on the lookout for good frames in this size, but I do love the way the embossing on the archival cardstock forms a mat that interacts with the image inside when the paint bumps up and sometimes over the edges of its artificial border. 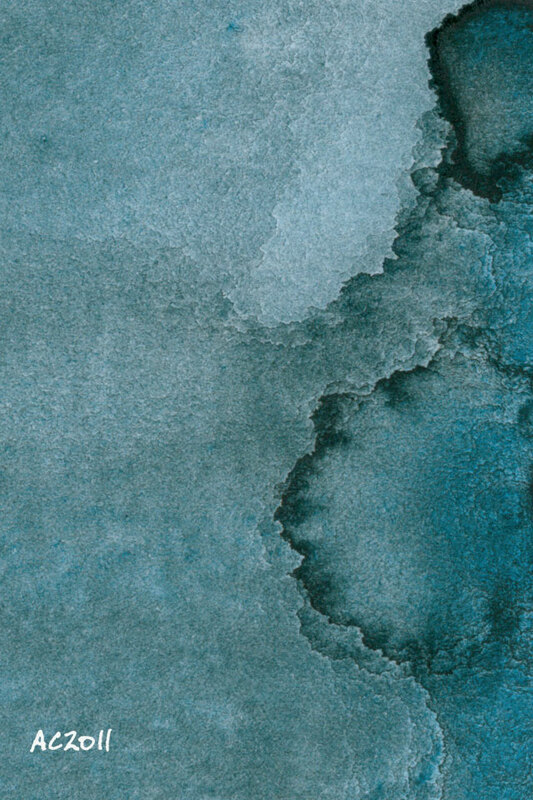 I’ve made a computer wallpaper and iPhone wallpaper of this piece to help showcase the subtle textures that get lost in the tiny version above. 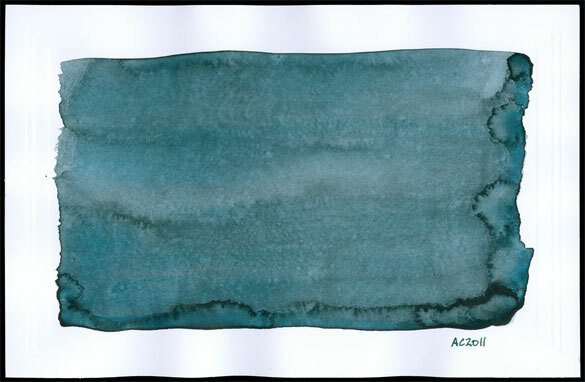 Mist, 8.5″x5.5″ watercolor on embossed paper, $169 with free shipping.